Sometimes, you just have a burning desire to replace a glass pendant shade. Maybe you’ve broken one. Maybe the original fixture is gorgeous, but you’re sick and tired of looking at the shade. Whatever the reason, thankfully there are replacements available in a pretty wide variety of styles. There’s no need to replace your entire light fixture to get a new look–just swap out your shades instead. Here’s a short list of 10 replacements for you to consider. This sphere-shaped shade comes in either cobalt blue or frosted white glass and fits 3.25” fittings. It’s designed as a downlight, directing light towards your workspace. It’s simple, modern, and fits in with many different decor styles. 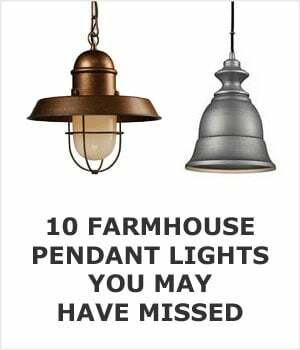 This is a great if you have a row of fixtures, like a row of lights over a breakfast bar or kitchen island. It would also work well over a desk or for an informal reading area like above a beanbag chair. This simple option is inexpensive and pretty. The timeless seeded glass looks as though it might have droplets of water rolling gently down the sides. Its classic ‘bell’ shape is slightly feminine without being too dramatic. It’s an inexpensive choice for that rustic farmhouse look. It’s attached to the light and held in place by a norge ring or screws that clamp it into place. 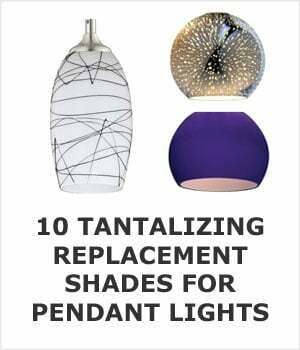 These are great replacement shades for ceiling fan lights, too. The only place I could find it was Wayfair. If you’re looking for a shade for your drum pendant, this could be perfect for your light. Available in either clear or plum (pictured), this glass cylinder diffuses and directs the light. 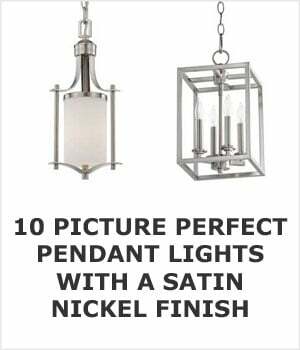 It attaches to 4.5” fixtures using screws and creates a clean, modern look for your pendant light. This is a great shade for updating an older pendant light with a modern touch. If you’re looking for a quirky, country look, this glass pendant shade is perfect. This is a rectangular version of the traditional ‘Mason’ jar. Threaded screws hold it in place and prevent the hefty (1.5 pounds) globe from falling off the light. The clear glass allows plenty of light to shine through, no matter what type of bulb you’re using. 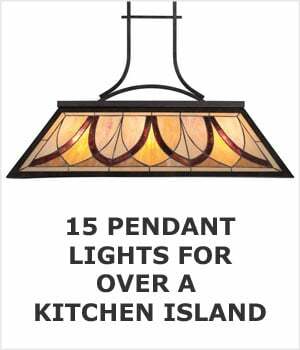 Use this on a single pendant light to make a statement, or update several lights for a whimsical ‘country’ look in your kitchen. See it here at Lowes. If subtle is not a word you want to use to define your style, check out this explosive option. The globe-shaped glass shade features an ‘explosion’ pattern of silver flecks that create a dramatic look when illuminated by the pendant’s light. 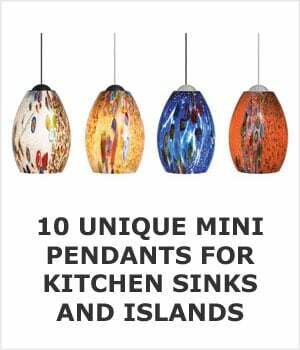 Use one to create an impact on a small space, such as over the kitchen sink, or buy multiple shades to use in a row above your home bar or kitchen island for a look that’s out of this world. If a simple, modern update is what you need for a small pendant light, this shade is perfect. Its clear glass and ribbed design are simple but eye-catching. It attaches with screws for a secure fit. It works for 5” inch ceiling fan lights, too. 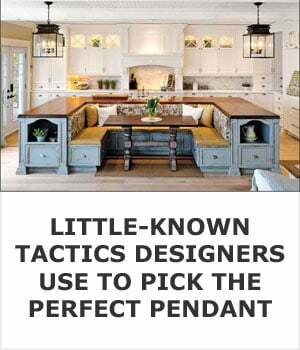 Although the shape is listed as ‘novelty,’ it leans more towards a standard bell shape. The ribbing helps diffuse the light slightly, creating great ambient lighting. It’s a great basic shade for updating an old light or a good replacement for old, cracked bell shades. It's made by Volume and only sold at a few stores but I did find it here on Houzz. How else can this be described except as chocolate drizzle? This is my personal favorite on this page because it’s fun without being overly complicated or ornate. A few of these hanging over an island would make a subtle statement just like these ones here. Availabe here at Home Depot. These very basic glass spheres are the perfect way to quickly update your lighting or to complete a ‘throwback’ look. They also function as globe light covers and are a great cheap option to have on hand for when the kids get a little carried away with the broom. Trust me, it can happen. The shade features a prismatic design that gently softens the light, creating a soft glow. The screw on pendant shades attach easily and can also be used on some ceiling fan lights. I'm happy to report these are readily available at Amazon. You don’t have to buy a specialty pendant light to get an artistic look–you could just pair a plain globe with a pretty shade like this art glass one. The vibrant turquoise color and light brown detail add a pop of color to your lighting. This shade fits 1-5⁄8 inch fixtures and makes a fun addition to your kitchen or dining room pendant lighting. This classic beauty is sold at Home Depot. Okay, so this one isn’t strictly made of glass–it’s acrylic ‘crystals’–but if you’re thinking of replacing your old globe with something more dramatic, you can hardly argue with the glamor of a dazzling chandelier, can you? This fun, inexpensive alternative brings fun ambience to your cozy dining room or even your bedroom. 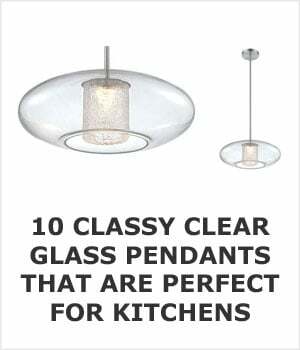 Because it is made of acrylic (rather than actual crystal), it’s much lighter than a traditional chandelier, too.